Yellowish-white, with a purple spot, this Cong shapes like a short square cylinder, round inside and square outside, with round faces at the upper and lower end. There are pairs of drill holes, which make it look like a Bi jade from the top. Xu Shen (Han Dynasty) noted in his “Shuo Wen Jie Zi” (the earliest Chinese dictionary): “Cong, fine jade, about eight inches in size.” This is the earliest definition of Cong. 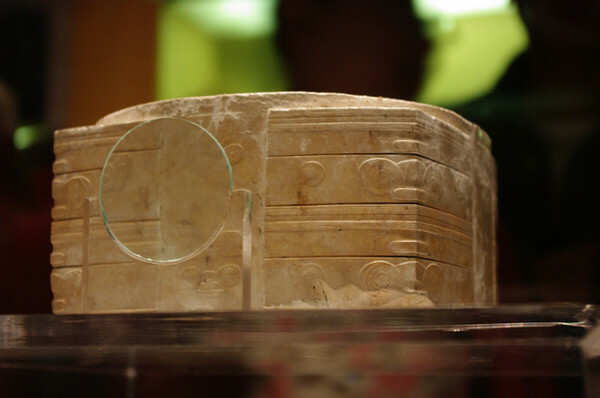 According to “Rites of Zhou” records, “Blue Jade Bi to worship the heaven, Yellow Jade Cong to worship the earth.” Jade Cong is an object used in ritual sacrifices to God of Earth . At the time, every time when a good harvest, or memorial day, they held a grand sacrificial ceremony. 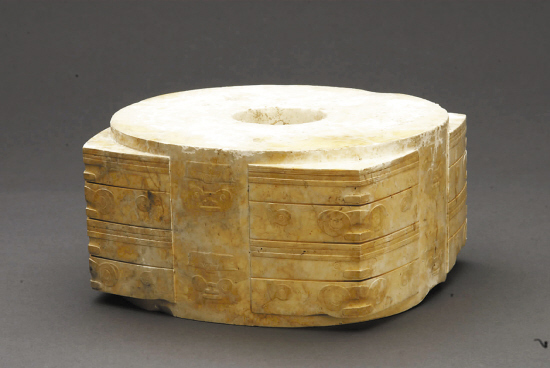 Liangzhu ancestors would use this Jade Cong to communicate with heaven and earth gods. 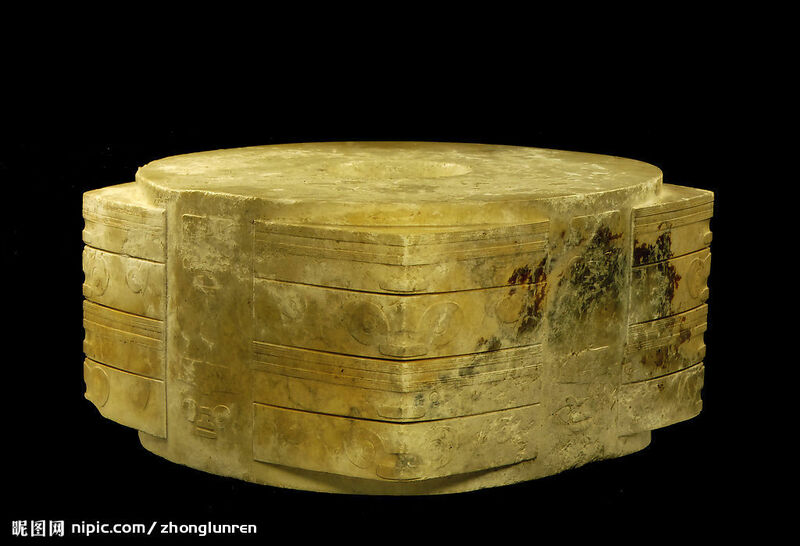 So Jade Cong is religious object of the Liangzhu people. 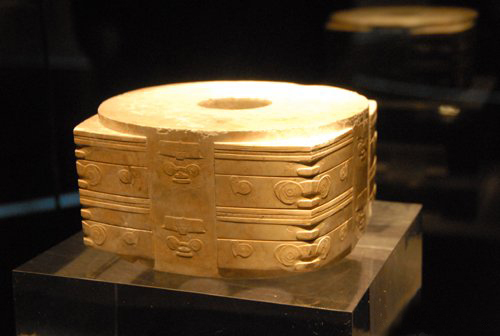 Liangzhu Culture is rich in jade artifacts and is recently discovered to be a possible major Dynasty before currently known earliest Xia Dynasty. To know more about Liangzhu culture, you can visit this article: wikpedia (in English) and these two youtube videos 1, 2 (in Chinese). This is the 14th of 64 culture heritages that the government of China forbids to exhibit abroad. The complete list is here. In Chinese.